Sandblasting is an extremely versatile method of etching glass that can be applied to both flat and curved surfaces. From simple frosting to deep carving the range of hard and soft lines, patterns, graphics and logos that can be realised is truly limitless. 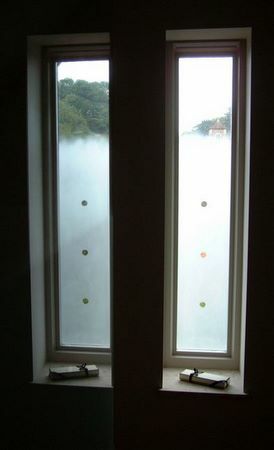 We can sandblast all types of glass generating unique commissioned work as well as realising our clients' own designs. For most applications the porous surface of the sandblasted glass is sealed with an applied polymer coating to provide protection from marking. Cleaning becomes a simple matter of wiping with a soft cloth and warm water.